The Merced County Arts Council presents the 13th Annual California Centered: Printmaking Exhibition, to be displayed in the Merced Multicultural Arts Center main gallery from April 16th – June 1st, 2019. The exhibition highlights the best in recent California Printmaking, including work by a diverse cohort of artists across the state. The Merced Multicultural Arts Center is a modern, 28,000 square-foot facility providing space and support for arts education, training, world-class performances, tours, and five galleries showcasing arts and cultural exhibits of local, regional and national importance. Since its completion in 1996 as a downtown redevelopment anchor, the Merced Multicultural Arts Center has been honored with an American Institute of Architecture award. It was awarded the League of California Cities’ 2001 “Helen Putnam Award for Excellence” Grand Prize for Arts and Quality of Life, and chosen as one of only four California cities to feature in the televised documentary “2001:Year of the Arts”. The exhibition was curated by Joseph Tipay, printmaking instructor at Merced College. Joseph teaches at Madera Community College Center, West Hills College, Valley State Prison and Avenal Prison. 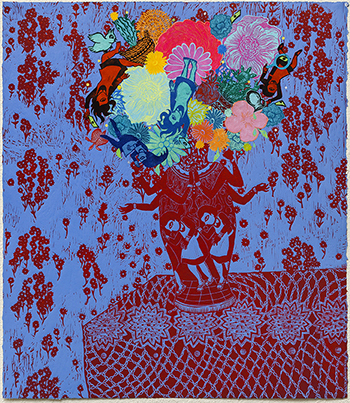 He received an MFA from Academy of Arts University, SF in Printmaking. His work deals with the struggles of his family and the beauty that comes with adversity. They are a reflection of the economic, cultural, political and social climate. He is an award winning artist and had been exhibited nationally.